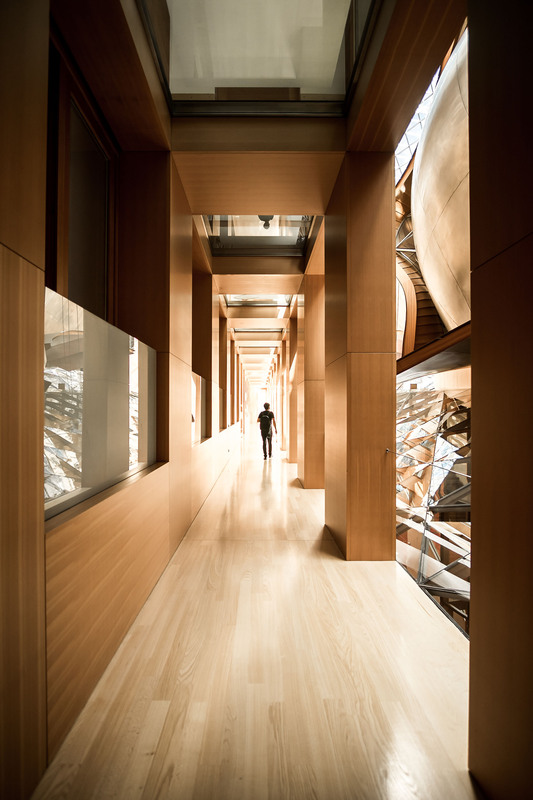 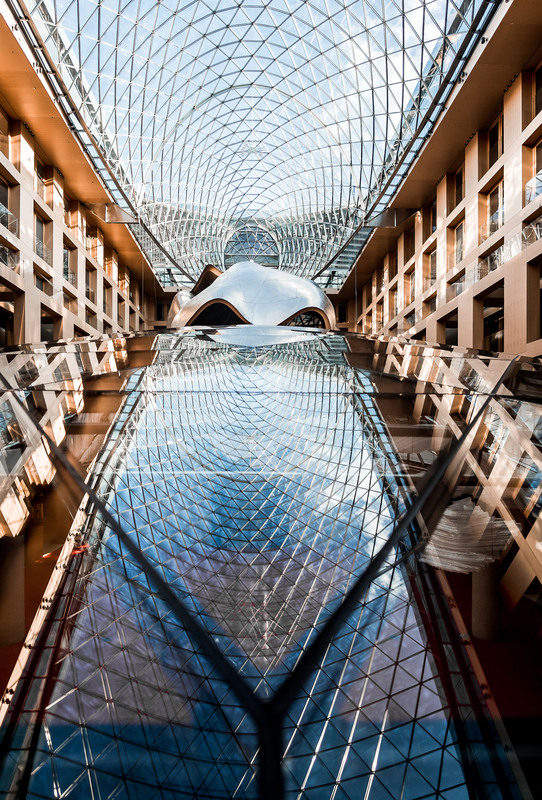 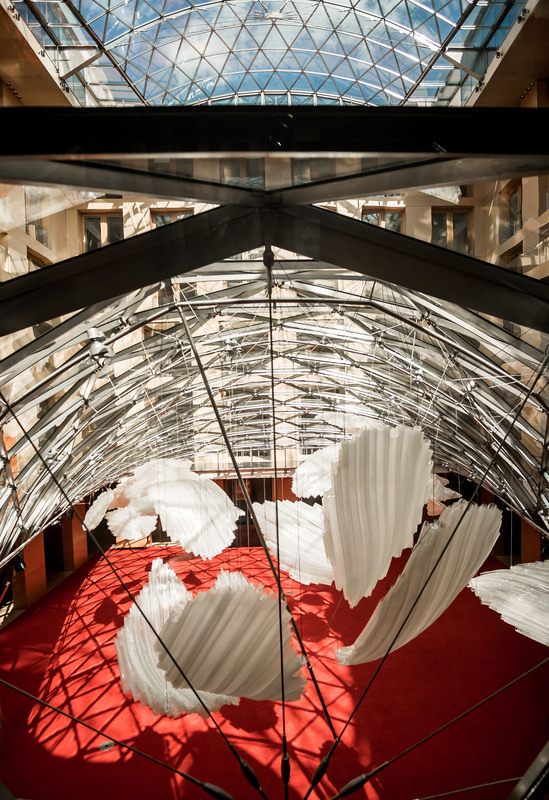 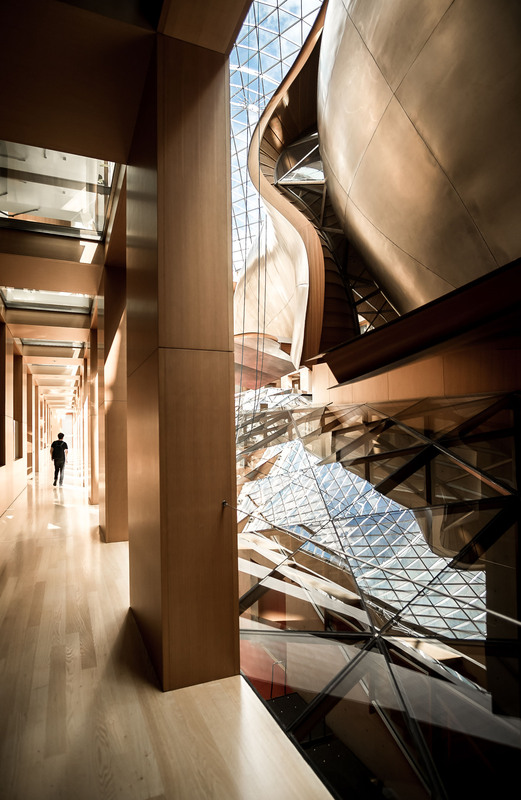 Italian architecture photographer Nancy Da Campo has captured the interior spaces of the mixed-use building designed by the Canadian born architect Frank Gehry. 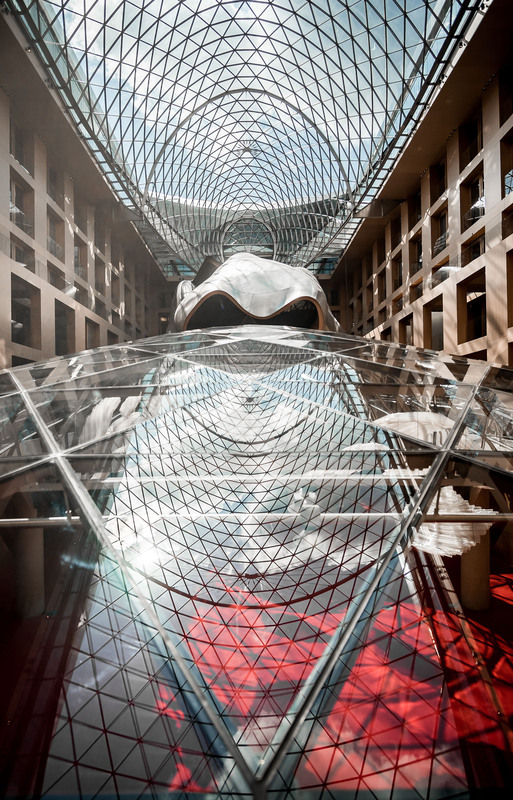 From the outside the building blends well with the surroundings almost going unnoticed. 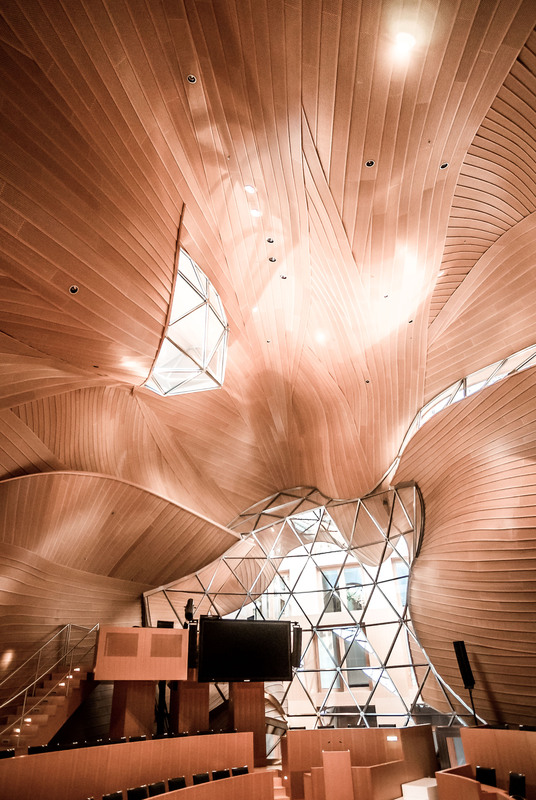 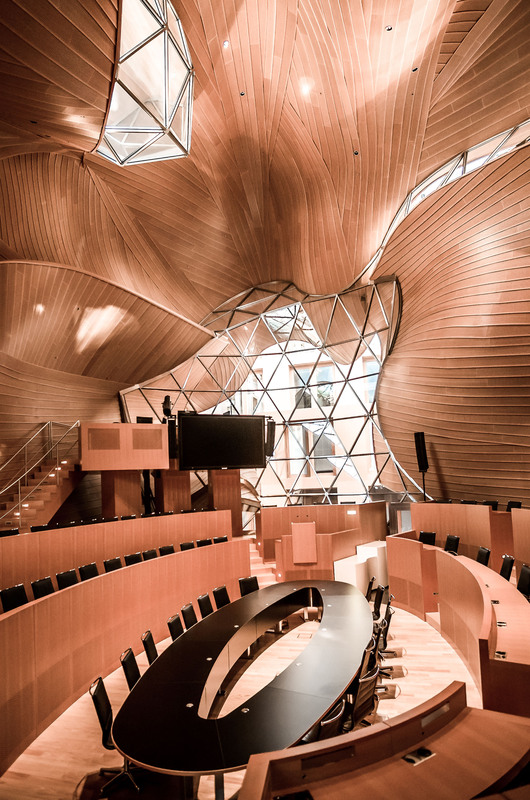 It is on the inside that Gehry introduced his sculptural and wavy shapes. 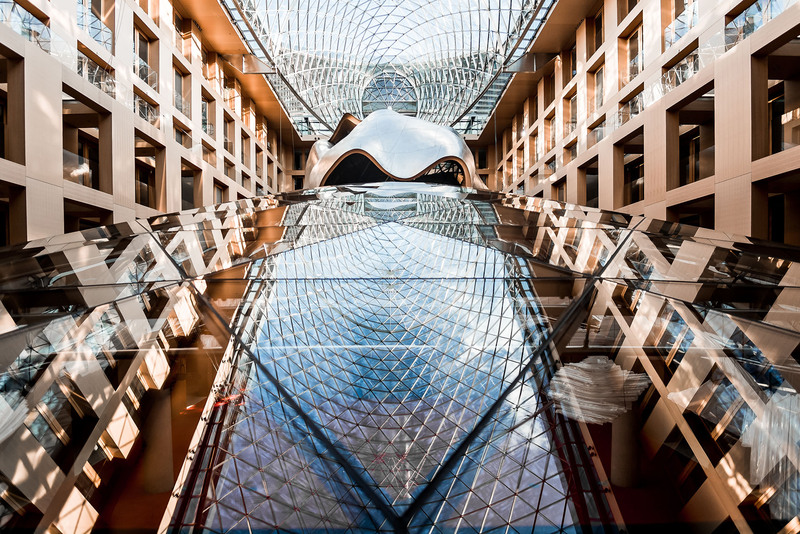 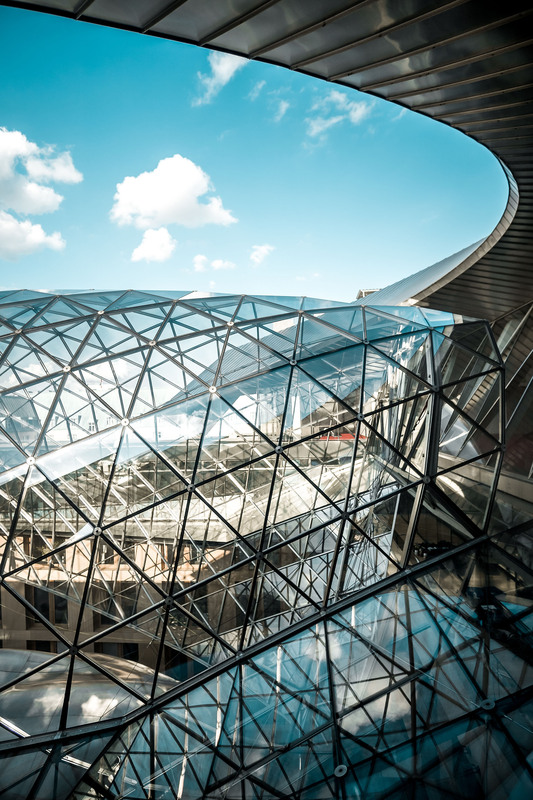 The building houses the headquarters of the DZ Bank and the 39 residential apartments which are separated by a large courtyard that includes a titanium cladded conference hall with a peculiar sculptural morphed-shape. 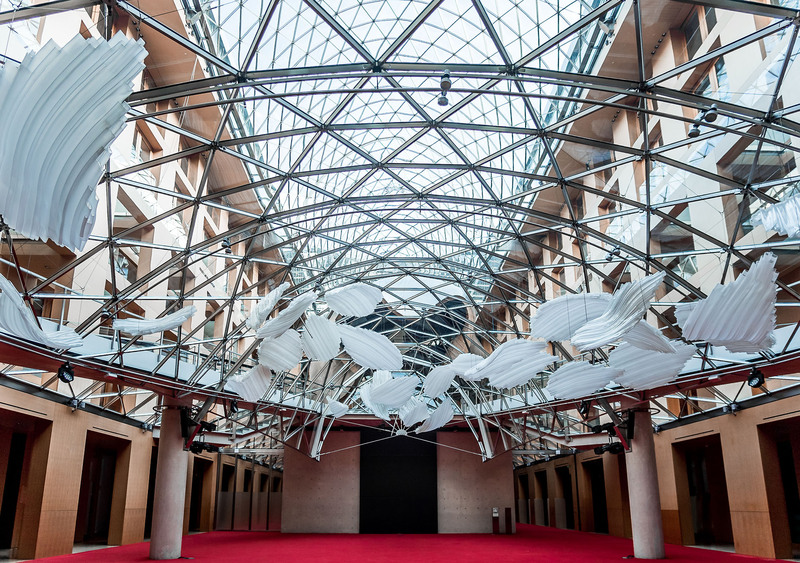 This space is covered by a glazed roof curved in a complex form which is typical of Gehry’s architecture style. 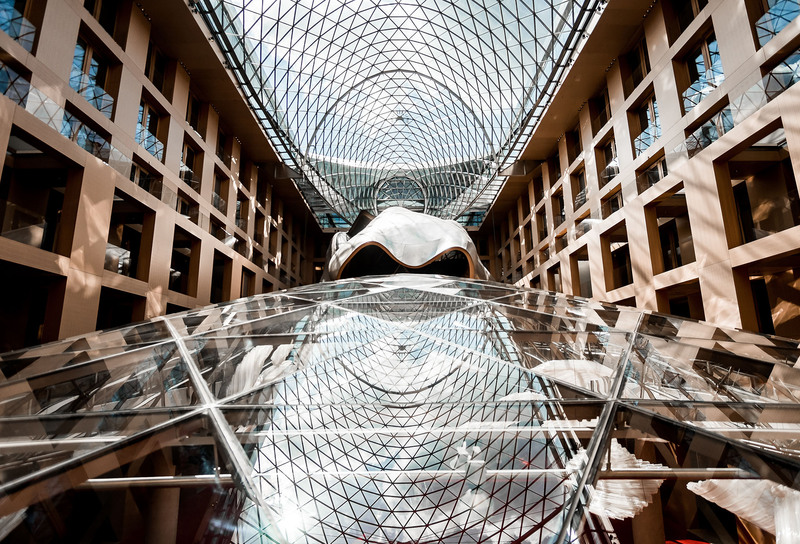 A very impressive building, magnified by a very talented photographer.